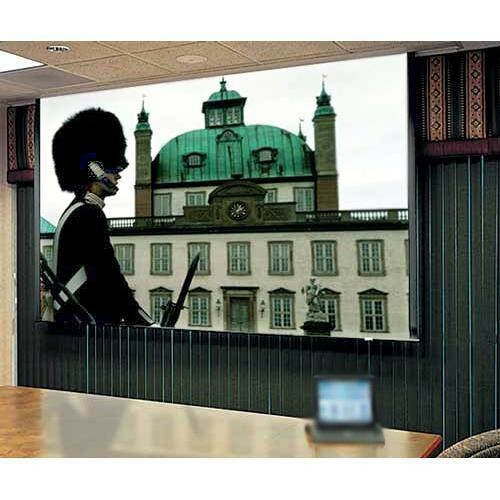 With the 120V 119241Q Ultimate Access/Series E 45 x 80" Motorized Screen with LVC-IV Low Voltage Controller Quiet Motor from Draper, you can install the case first, and the screen surface later. A motor-in-roller system helps ensure this screen provides quiet and smooth operation. Its ceiling-recessed design incorporates an independently motorized ceiling closure for a seamless appearance with the screen retracted. Box Dimensions (LxWxH) 112.0 x 15.0 x 14.0"